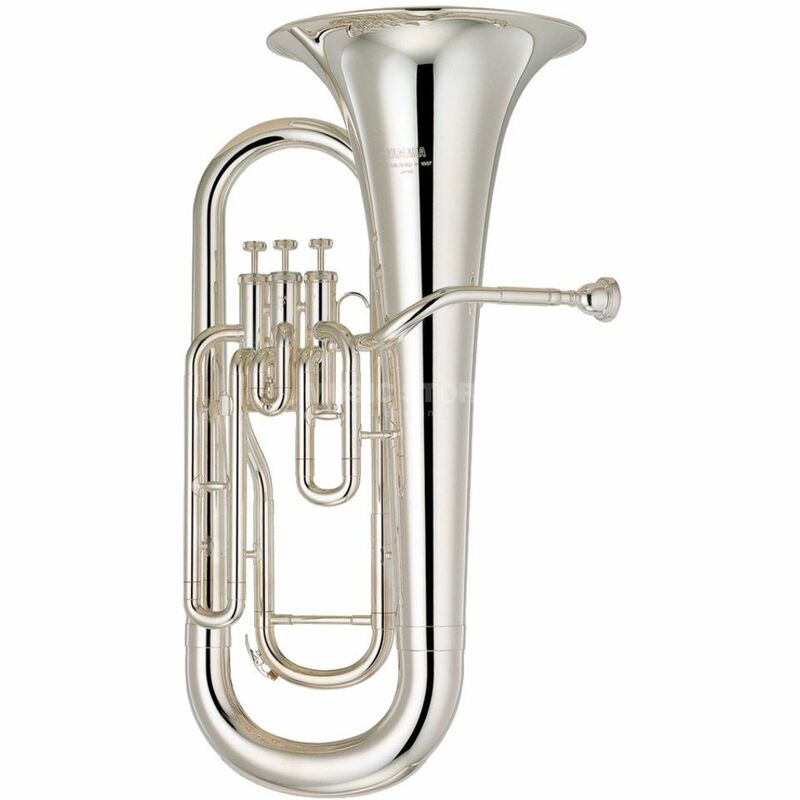 The Yamaha YEP-201S Bb Euphonium is a Bb-euphonium, made of brass material, with three valves, a silver plated finish, and includes a 48M mouthpiece and case. The YAMAHA YEP-201S Bb-Euphonium joins the standard series and is an excellent alternative for young students because of its low weight. It is easier to handle and to play. The sound does not suffer; it is warm and rich. The YEP-201S is made out of finest brass. In combination with the golden lacquer the instrument gets a clear sound which spreads through the whole room and get excellent mixed in ensembles.